Carlene (Bowman) Thomas passed away on Thursday, January 17 at Good Samaritan Hospital. her in death. Carlene was a homemaker residing in Clifton. She was 71 years of age. on Sunday from 2:00 until 5:00 PM. Funeral service will be at the funeral home on Monday at 10:00 AM. Interment will be in Spring Grove Cemetery. Glenn Twist in a letter to Opal Randolph dated Feb 25 1986. On the 1900 Owsley Co. KY Census, Daniel is 20 years old and listed as a widower. Although the Pension Record of Ezekiel Dean has Daniel born Sep. 15, 1879, Daniel is not on the 1880 Owsley Co. KY Census with the rest of the family. His brother, George is 9 months old. Pension Record of Ezekiel Dean, document dated Jan. 15, 1898 - Sep 15, 1879. 1900 Owsley Co. KY Census, Buffalo Dist. Mathew was living with Nathaniel Ford (his cousin) & Margaret when Nat died. 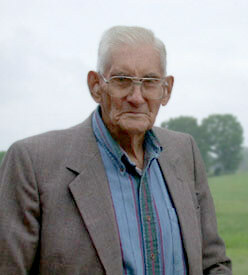 He stayed on to help with the farm crops after Nat died and about a year and a half later, he and Margaret married. -Veana Pearson. Glenn Twist in a letter to Opal Randolph, Margarth's grt granddaugh. Group sheet from Veana Silva Pearson in Glenn Twist papers - 06/06/1858. Franklin Co. AR Marriage Records, Book E, from Glenn Twist. California Death Index for daughter, Ettie Ruth. 1940 Chilton County Alabama Census, Precinct 13. Jody Flannnery Sizemore, wife of Jimmy Sizemore g/s of Wm Sizemore. Jody Flannnery Sizemore, g/d of Morgan M. Flannery & Mary L. Hale. Connie Rogers Cady, g/d of Charley Rogers. Jo Belle Schrillo, g/d of Marchant Thomas & Alice Kyle. Parents listed as George and Lizzy Thomas on the Mortality Schedule. Calculated from the Mortality Schedule information. Rosalie Thomas, wife of Nevil Thomas, grson of Andy Thomas s/o Levi - 10/15. Beulah Batey, daughter of Walker Tirey.